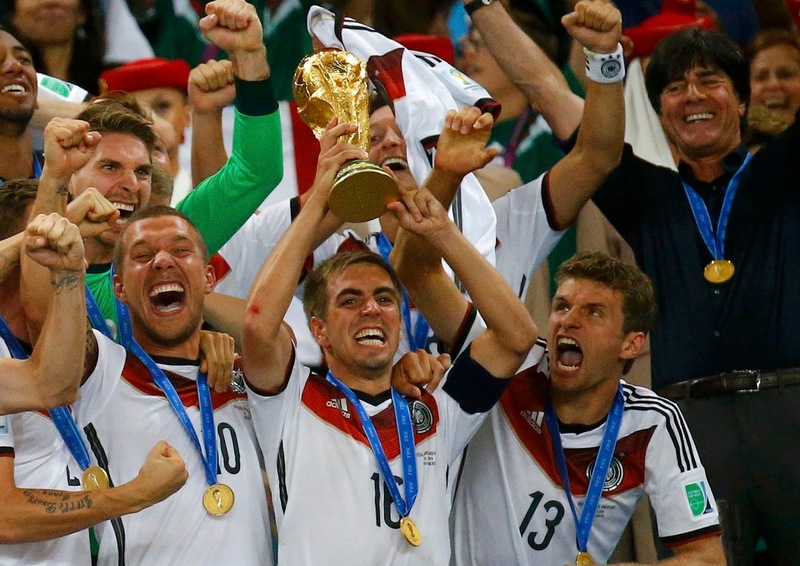 History of the FIFA World Cup™ Competition: Adidas outstrip their rivals. 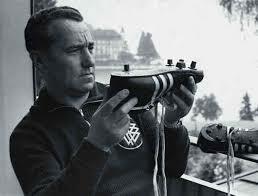 Rudolf Dassler started the company when he and brother, Adi Dassler fell out in 1948. Puma has continued to rival adidas in soccer boot manufacture and supply. German Company, adidas, have enjoyed supremacy for decades in the soccer market but now face constant challenge from Nike. 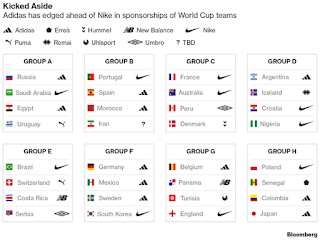 Together these companies control 89 percent of the soccer retail market. Team deals are important for sales of football jerseys and adidas is the official sponsor of the FIFA World Cup TM 2018 tournament and will outfit 12 teams. The 32 nations competing in Russia are sponsored by eight different clothing brands. 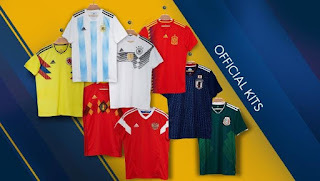 Fans will see kits from Adidas (Argentina, Belgium, Colombia, Germany, Iran, Japan, Morocco, Mexico, Russia, Spain, Sweden,); Nike (Australia, Brazil, Croatia, Egypt, England, France, Nigeria, Poland, Portugal, Saudi Arabia, South Korea); Puma (Senegal, Serbia, Switzerland and Uruguay); New Balance (Panama and Costa Rica); Erreà (Iceland); Hummel (Denmark); Uhlsport (Tunisia) and Umbro (Peru). However, the German brand are not expecting large returns from a financially depressed host country. Sales of jerseys bring returns earlier because the World Cup outfits have already been sold to retailers and fans want to wear the jerseys of their favourite team. The sale of boots usually happens after the event when fans want to play shod, like their heroes. adidas celebrate 20 years as an official partner of FIFA World Cup TM and have invested hundreds of millions of dollars for exclusive rights that include having its logo on match balls and referees’ uniforms. It is estimated adidas will spend between $96 million (£71.9m) and $176 million for 2018 FIFA World Cup TM. On average it cost the German Company annually, approximately $80M to be an official World Cup sponsor. That allows them to advertise within every stadium for every game. adidas have designed the official World Cup ball since 1970, and outfit all FIFA personnel, referees, ball boys, and volunteers. As an official event sponsor adidas has access to platforms and markets that their rivals do not. adidas also sees more engagement on social media. The content it produces for you tube draws a more committed following than Nike’s. This is important to distinguish because a loyal following will spend money on the brand, while a superficial one won’t. Over the past five tournaments three World Cup winners have lifted the trophy donning the Adidas logo. The focus is no longer on broad-based sponsoring, but on the top teams and players. However, the cost of sponsorship is considerable i.e., Spain ($47M), Argentina ($11M), Russia ($15M) and Germany ($58M). Manufacturers regard sponsorships as key to boosting sales of shoes, jerseys and other equipment to consumers, with a market valued at almost $19 billion last year, more than double the level a decade ago. During the 2014 FIFA World Cup TM, adidas exceeded its own revenue projections and spent an estimated $67m on advertising, and the actual figure has never been disclosed.